Shush is a minimalist and extremely flexible template with flexible multiple columns (2 or 5 columns). You can change the columns, all background and font colors, and font types without doing any coding. The wide sidebar is 184 px wide, perfect for square Adsense boxes. All the 3 lowerbar columns are 250 px wide. To have your comment box function properly, go to Settings > Comments, look for the Comment Form Placement and click on the 'Embedded below post' button. That's all you have to do if you use this template. The codes have already been modified for you. See this post for more detail. Read this if your comment form doesn't work. To put the header image in your blog, click on the image below to open up a larger size and save it into your computer. Then, upload the image using the Layout > Page Elements > Header Edit tab. If you want to use your own image for the header, the image width has to be 960 pixels (with any height). This new XML Blogger template is free but please value our hours of design work by leaving the credit at the bottom of the screen to Ourblogtemplates.com intact. But you can label whatever you want at the blog footer. I'm not a designer nor am I coder. I'm just your average person who wants a unique but nice looking blog. You've designed these amazing templates so that changing the colors, fonts, backgrounds is sooooo easy! 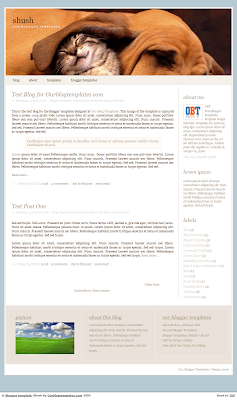 Your site is just what I was looking for because Blogger templates -- well they're so cookie cutter. But with yours -- well it feels like the possibilities are endless! Simple n' Sweet is a minimalist and extremely flexible template with flexible multiple columns (2, 4, 5, 6, or 7 columns). You can change the columns, all background and font colors, and font types without doing any coding. The wide sidebar is 300 px wide, perfect for square Adsense boxes. 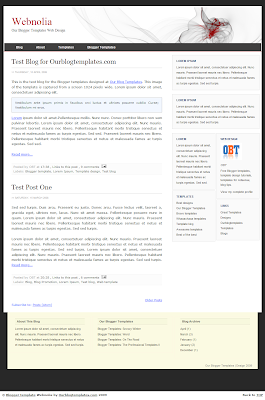 The two narrow sidebars are 132 px wide. All the 3 lowerbar columns are 250 px wide. 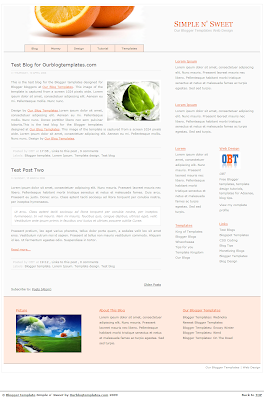 Webnolia design is inspired by the award-winning #1 Indian technology blog Digital Inspiration by Amit Agarwal. It is a minimalist and extremely flexible template with flexible multiple columns (2, 4, 5, 6, or 7 columns). You can change the columns, all background and font colors, and font types without doing any coding. The wide sidebar is 300 px wide, perfect for square Adsense boxes. The two narrow sidebars are 132 px wide. All the 3 lowerbar columns are 265 px wide.